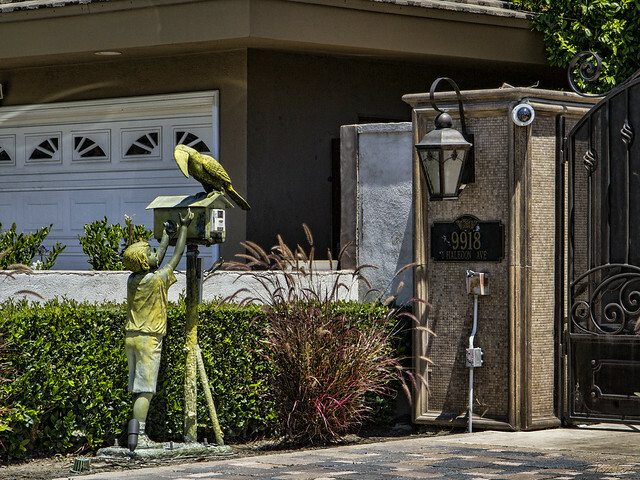 I'm always interested when I think I've spotted a unique mailbox, so this one made me stop in my travels around Downey. Upon closer inspection, I think this is some sort of audio system, but I still liked the boy reaching out to the toucan, both of them covered in moss-colored green. Love this ... there is some interesting statuary sprinkled around our town! Thanks, Frank. Yes, I keep finding new things each trip.